Only persons residing in Singapore who are of 21 years of age or older can enter. Traveller must be aged 21 or over. *** Limited to one entry per participant only. 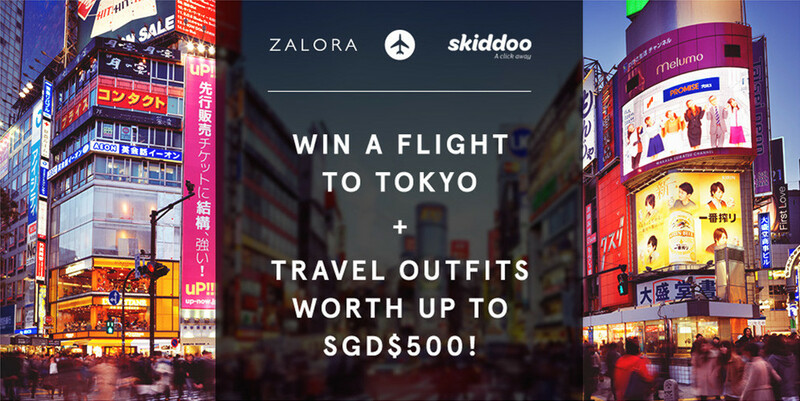 Prize: ONE (1) GRAND PRIZE round-trip tickets on economy class to be used for travel between Singapore (SIN) and Tokyo. The prize winners must inform the promoter of their acceptance of the prize and send a copy of both travelling person's passport within 7 days of the prize winner(s) being announced. The prize winner must be aged 21 years or over at the time of entering the contest. We regret that the prize winner must travel in order to take up this prize, it is not transferable. In the event that the winner is unable to take up this prize a second winner will be drawn at random. ZALORA Outfits: The winners will be notified by email. After notification, ZALORA will contact the appointed winners to arrange the prize collection. Failure to claim the prize within 30 days of this notification will result in the prize being offered to the next best entry. The total value of the outfits shall not exceed SGD$500, limited to ZALORA label only.